If you’re a foodie and you’re in, or plan to visit, Belfast you’ll be very likely to enjoy the work of Mourne Seafood Bar owner/ chef Andy Rea and owners Bob and Joanne McCoubrey. The many facets of their company stretch well into the gourmet scene across Northern Ireland. Described by the Irish Times as a “Belfast institution”, the Mourne Seafood Bar’s Belfast venue (you’ll find it in the city centre at Bank Street) is – quite rightly – often mentioned alongside celebrated names like Ox and the new arrival The Muddlers Club. Also serving fresh local seafood to the same high standards, the McCoubreys’ Dundrum venue can be found in the heart of County Down. Like the Belfast restaurant, shellfish is sourced from local shellfish beds. Meanwhile the location, a relatively short drive from Belfast and close to the seaside/ mountain destination of Newcastle, is second-to-none. An expansion in 2015 meant room for 40 more guests with the Belfast Telegraph noting that restaurant critic Jay Rayner had written about his dinner of “pristine rock oysters” and “hefty seafood chowder” during a visit to Northern Ireland. The McCoubreys and Andy Rea have brought their popular cookery school to the local food scene. In the heart of Belfast, their cookery school offers classes in an eclectic and fun range of cooking styles – including Italian and French – in superb facilities. 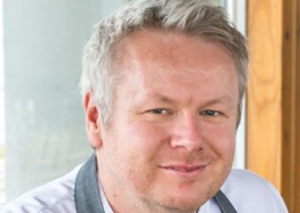 With Andy, described as one of the most masterful chefs in Northern Ireland, on the cookery school team a perfect blend of culinary brilliance combined with the entertainment of a great experience is promised.